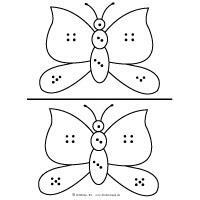 Butterfly and caterpillar activities, lessons, games, crafts, and printables for preschool and kindergarten. 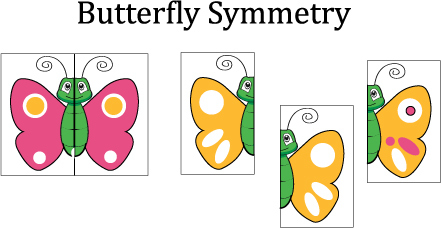 Crawl and fly into springtime with this theme on caterpillars and butterflies. 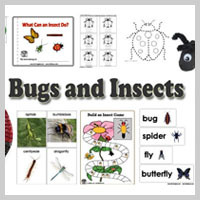 These two forms of the same creature provide opportunities for children to learn about insect life cycles and develop compare and contrast skills. 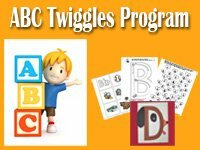 In addition, children are introduced to the story of The Very Hungry Caterpillar and many fun rhymes and games that encourage language development, movement, nutrition, math ability, and respect for the natural world. 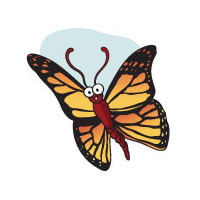 Butterflies are not only beautiful creatures, they are important to the earth's ecosystem. 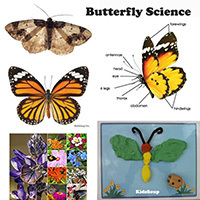 Your children will have fun learning about caterpilllars and butterflies and enjoy a variety of colorful butterfly crafts, butterfly preschool activities, butterfly and caterpillar science lessons, games, printables, and other resources available in our KidsSoup Resource Library. Add some green sheets of fabric (leaves) and a large box (chrysalis stage) and some butterfly wings. 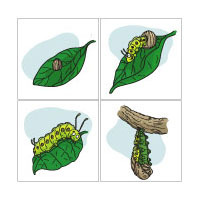 Let children pretend to be caterpillars eating the leaves, then crawling inside the box for the crysalis stage, and last turn into butterflies and fly away. 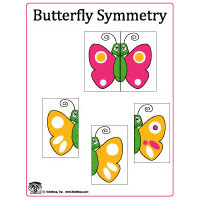 Print a butterfly shape and laminate. 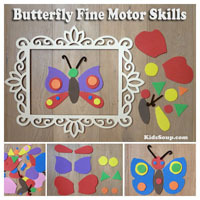 Let children use play dough to decorate the butterfly wings. Provide children with pipe cleaners and colored beads. For the caterpillar's head, make a knot to one end of the pipe cleaner. 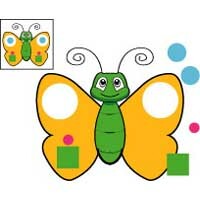 Let children add the beads to create different colored caterpillars. Cut leaf shapes out of green craft paper. 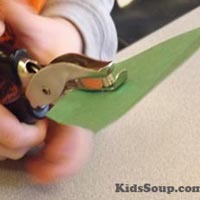 Provide a hole punch and let children pretend to be caterpillars eating the leaves. 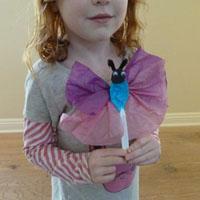 Use hot glue to attach three pom-poms together to make a caterpillar. Attach a piece of yarn to the caterpillar and invite children to wrap the yarn around the caterpillar to create a cocoon. 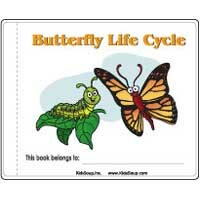 Discuss the butterfly life cycle with your children. Invite children to pretend to be a butterfly's egg by curling up in a little ball. Ring a small bell and let children turn into caterpillars munching at leaves. Ring the bell again and children wiggle to turn themselves in to a chrysalis by lying on the floor. Last, walk around the sleeping children and softly place a scarf on each child. 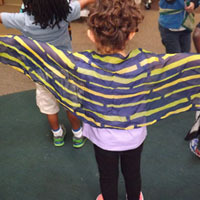 Ring the bell again and let children pretend to be butterflies "flying" around the room with their scarf wings. Read Where Butterflies Grow (Picture Puffins) by Joanne Ryder. 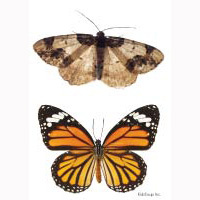 Tell children to pay careful attention to the information so that they can compare what is the same and what is different about caterpillars and butterflies during the activity that follows. 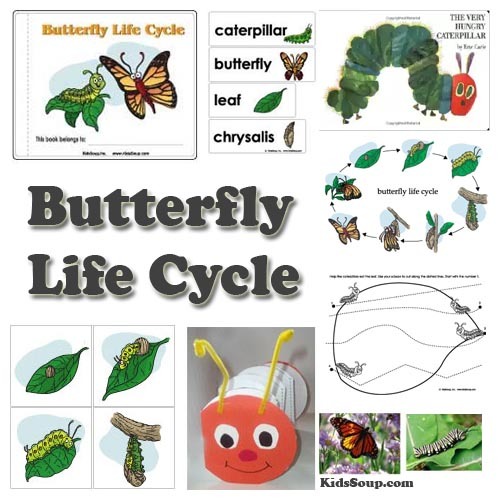 After reading, post a caterpillar and butterfly poster and ask children to look carefully at each picture. 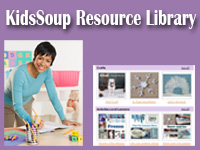 If desired, the Caterpillars and Butterflies emergent reader (see KidsSoup Resource Libary) can be read and discussed instead. Lead a brief discussion about caterpillars and butterflies and their characteristics. Create a Venn diagram on a chart paper. 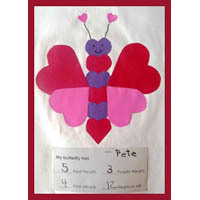 For each child, write the letters of their names on circle cut-outs and place inside a plastic bag. Label the bag with the child's name. 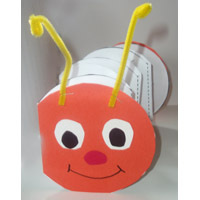 Hand out a large circle with two pipe cleaner pieces and invite children to create a caterpillar head. Let children remove the circles from their bags and arrange the circles next to the head to spell her/his name. 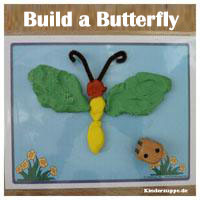 Invite children to create their friend's caterpillars as well. 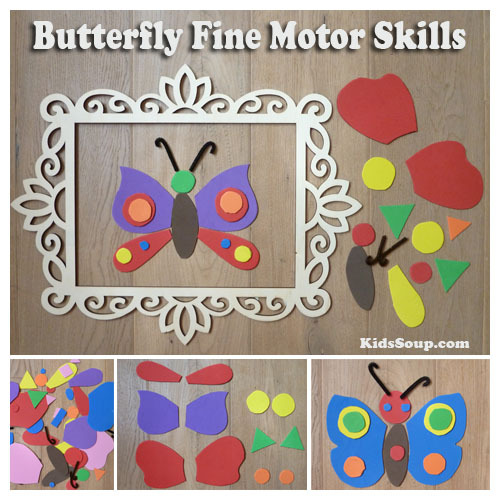 Let children place and glue their caterpillar head and the circle letters of their names on a piece of construction paper. Cut a large leaf shape out of green craft paper. Place a number card (1-10) on the leaf. Encourage children to use a pipe cleaner and beads to make caterpillars with the matching number of body segments and then place them on the leaf. Provide a bowl with three different pom-pom colors. Draw caterpillar segment pattern cards. Let children copy the caterpillar patterns. Set out three different colored paint or ink pads. Let children create fingerprint patterns to match the caterpillar cards. Place a caterpillar head on the floor. 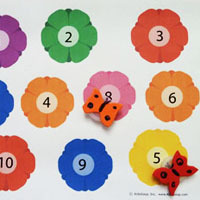 Write the numbers 1-10 on die cut circles. 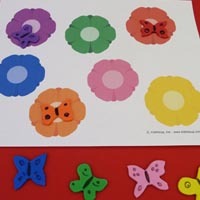 Let children place the circles in order from 1-10 to create a caterpillar. 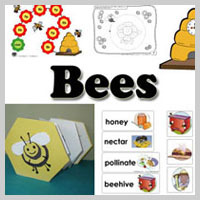 In advance write a letter C (one for each child in your group) and some other letters on die cut circles. Cut out a large letter C shape and glue a caterpillar head to one end. Explain to children that the word "caterpillar" begins with the letter C and makes the /k/ sound. Together with children, draw the letter C shape in the air. 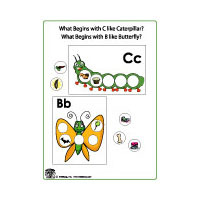 Next, invite children to pick out a letter C circle and place it on the letter C caterpillar. Place a caterpillar head on the floor. Write the letters of the alphabet on die cut circles. 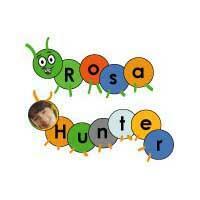 Let children place the circles in order to create one long caterpillar. 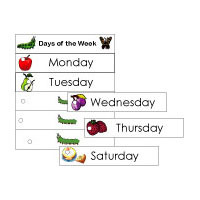 The Very Hungry Caterpillar teaches the days of the week and the life cycle of a butterfly. 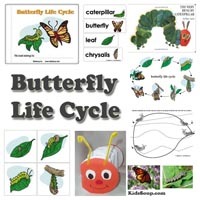 In this fun book, a little caterpillar eats and eats and changes into a beautiful butterfly. Children will learn about counting, the days of the week, and good nutrition. We have gathered some ideas that you can do before, during, or after reading the book. Don't try to do all the activities the first time you read the book. 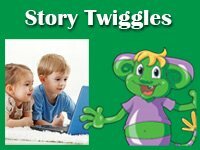 Children love to hear the same story over and over again which gives you plenty of opportunities to add some other activities. After reading the book create felt story pieces to re-tell the story. Days of the Week: Learn the days of the week. 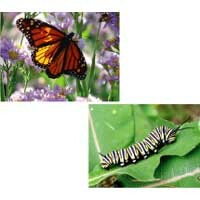 Nutrition: Talk about what caterpillars like to eat. Talk about favorite foods and what children need to eat to grow up strong and healthy. 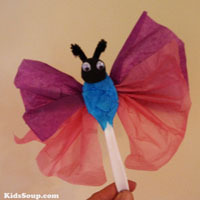 Hand out a craft stick butterfly to each child. Play some soft music and let children dance with their butterflies. When the music stops, call out, "All butterflies fly to something red." 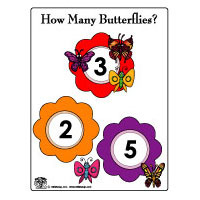 Children search the room and land their butterflies on something with the color red. Repeat with other colors. Let children find the matching wings and put the butterflies back together. With a paintbrush, add a generous amount of water on a coffee filter. Shortly after, let children drop some paint on the wet coffee filter. Set aside to dry. Print and cut butterfly body out of craft paper and decorate. 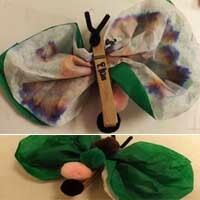 Glue coffee filter wings to the back of the butterfly body. Glue butterfly on craft paper. 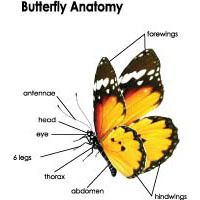 Let children draw the anteannae on the butterfly with a black marker. 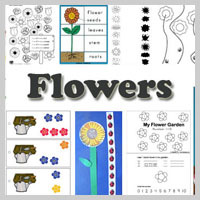 Make a pattern for the body out of card stock or construction paper. Let children cut out and decorate. 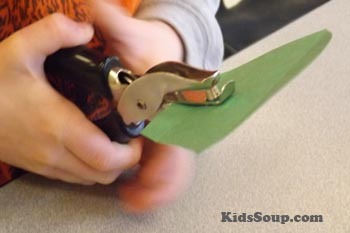 Then fold the body and clamp it into a clothespin. 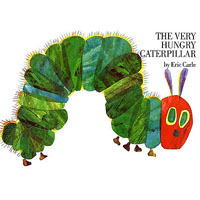 Celebrate Very Hungry Caterpillar Day on March 20th!